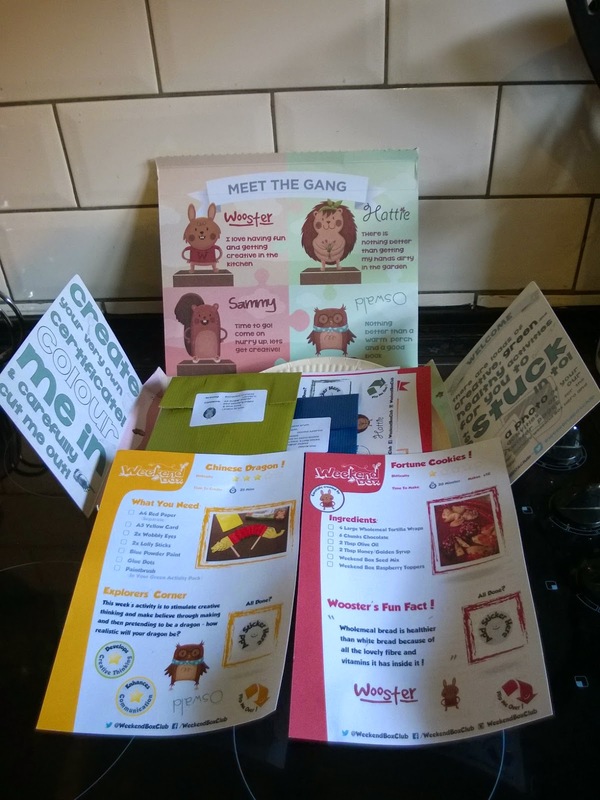 With Chinese New Year fast approaching (in 2015 it falls on the 19th of February) we were really happy to receive a Weekend Box to review that was packed with four fantastic ideas for New Year themed activities. The box arrived while we were out, but has been designed to fit through a standard letterbox, so no annoying the neighbours by taking in post for us or having to trek across town to the post collection office. The materials are all also either recycled or recyclable so there's no waste when we're finished with it. 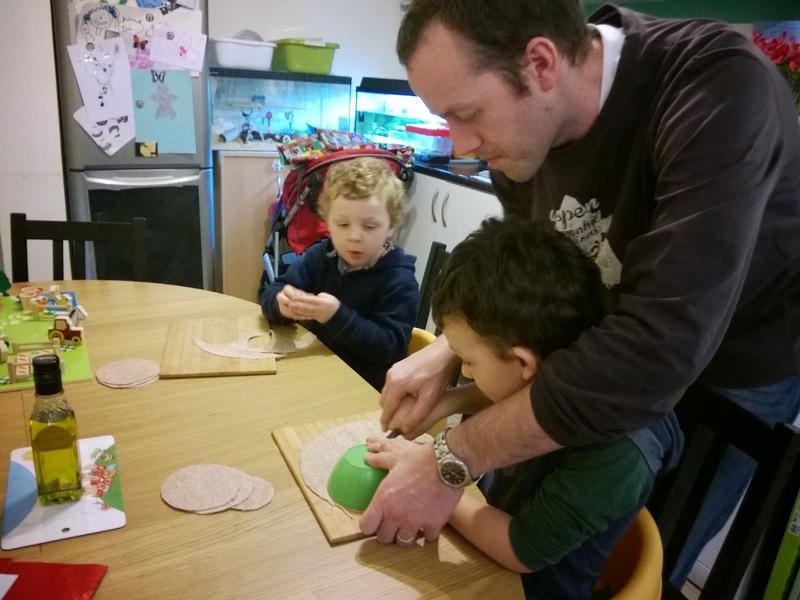 The boys were really excited to try out the cooking activity first - as much as they love crafts, they love cooking even more. 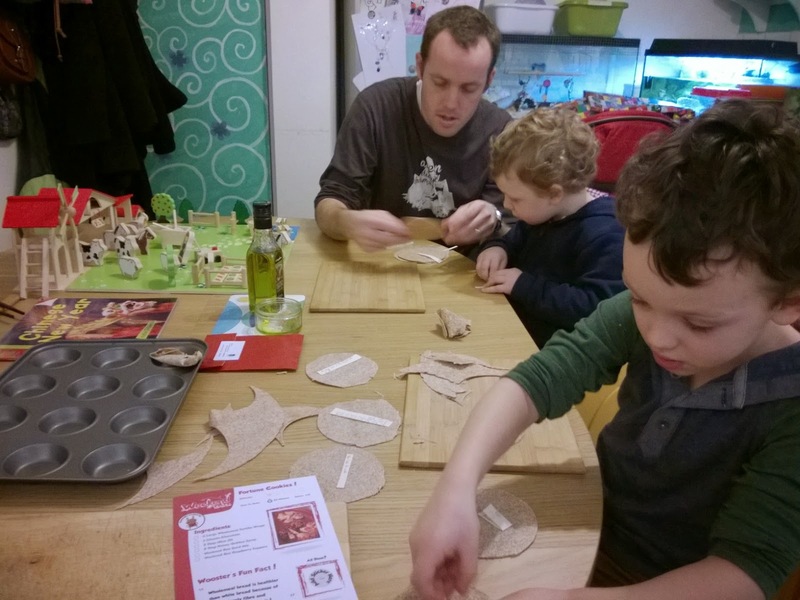 The activity was to make fortune cookies and came with an instruction card and a packet containing sesame seeds and dried strawberries to decorate the finished cookies. All we needed to provide were store cupboard staples - olive oil and wholemeal soft tortilla wraps, plus chocolate and honey for the decorations. The instructions called for us to use a big cookie cutter to cut out rounds, but since we didn't have one it was simple just to cut around a template - in this case a small bowl was ideal. 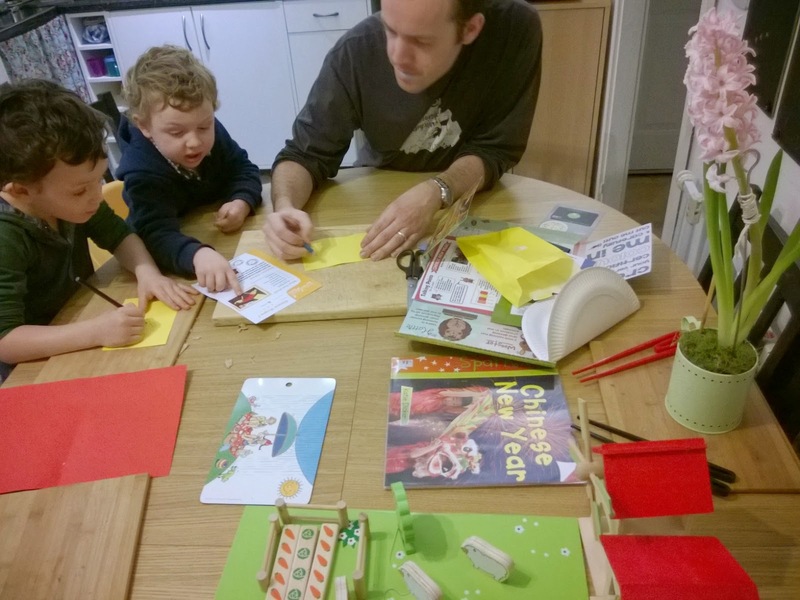 The boys then added paper fortunes that I had written out (I included great wisdom such as 'you have just eaten a tasty Chinese meal' which confused Ollie when he opened his cookie after dinner 'how did it know!'). 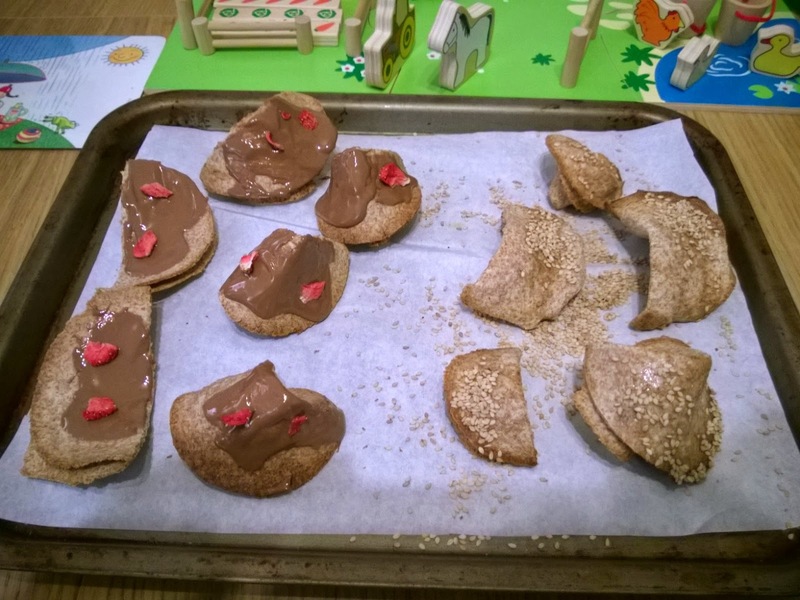 Our results looked very little like the picture on the instruction card, but the kids had a lot of fun making and eating them. 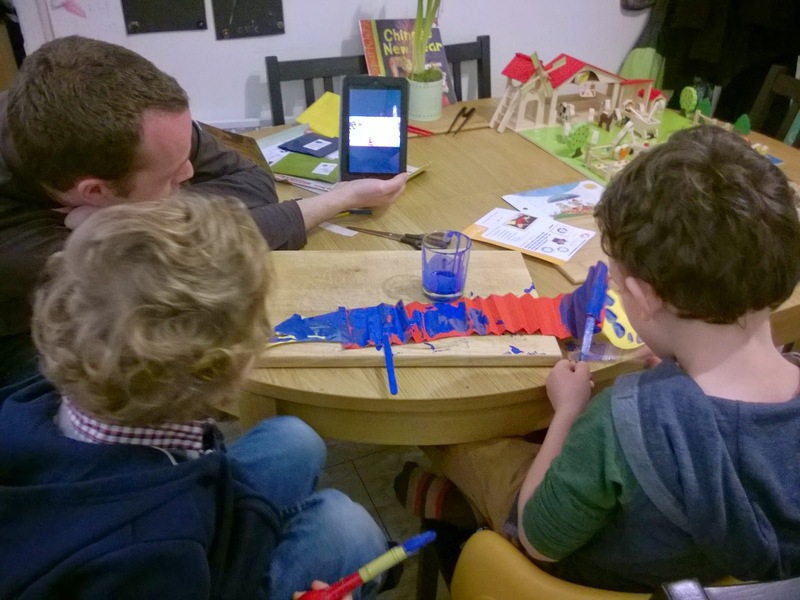 The dragon was really simple to make, and to help the boys to understand what it was Matt found footage on YouTube of Dragon dancing in New Year Celebrations in New York, which the boys watched while painting their dragon. 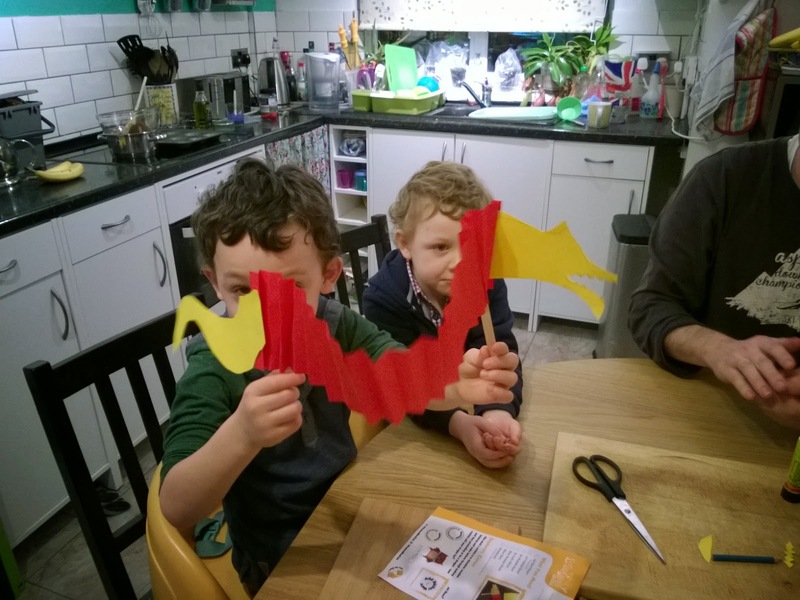 We enjoyed this so much we have used our own resources to make more of these dragons. 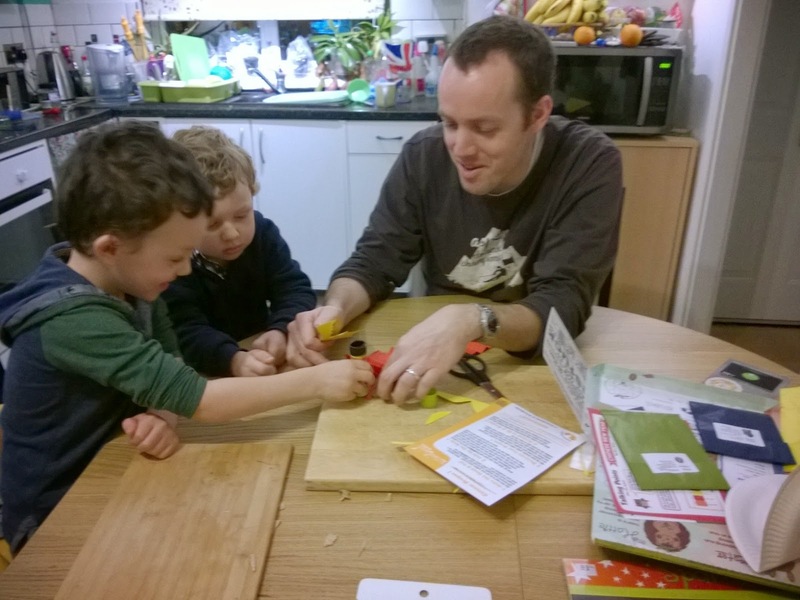 There were a further two activities to try, but we will keep those for next weekend. The Weekend Box is send out every two weeks, so there is no pressure to try to complete everything in one go. 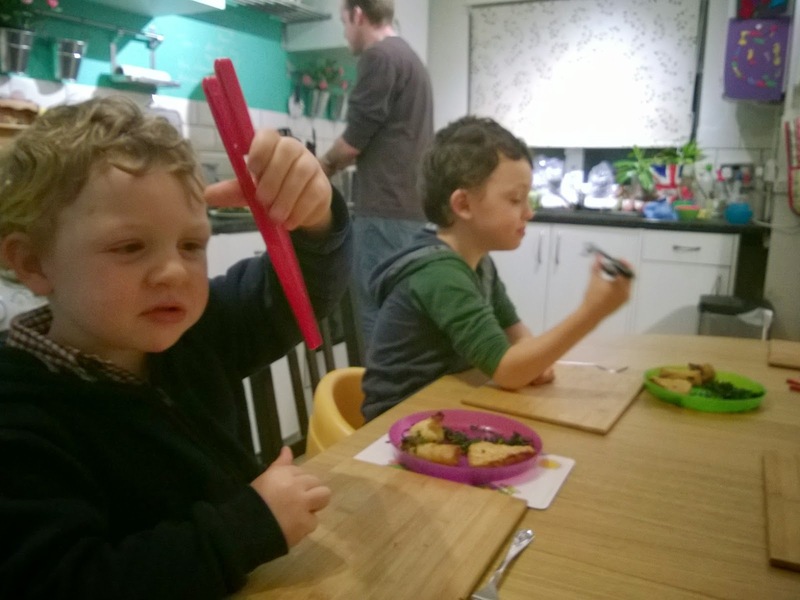 To round off the experience we had vegetable stir fry and noodles for dinner with Chinese style starters such as prawn toast, using children's chopsticks from the supermarket. Notes: The weekend box was provided free for me to review, but the cheeky boys, experiences and wobbly cookies are all my own. Use my code before 9th Feb 2015 and I might be in with a chance of winning a voucher. Cheers m'dears.